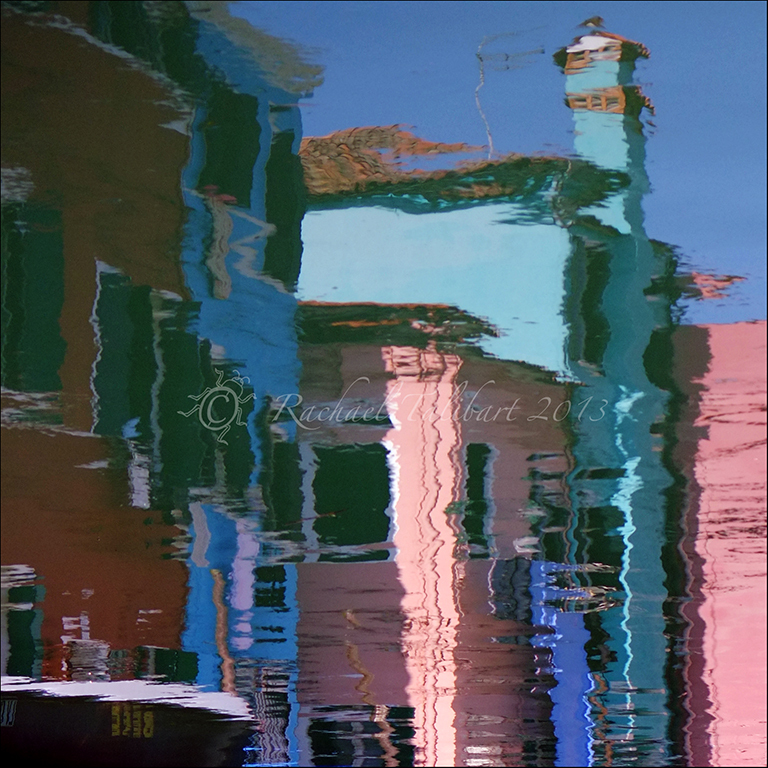 As I mentioned yesterday, Burano’s vibrancy is doubled by the reflections in its many canals. It’s always fun to flip a reflections shot. Well, I like doing it anyway. Zooming in close creates a more abstract look. Or a wider view makes a more painterly image. I have so many images of this lovely little island, but I don’t want to bore you! 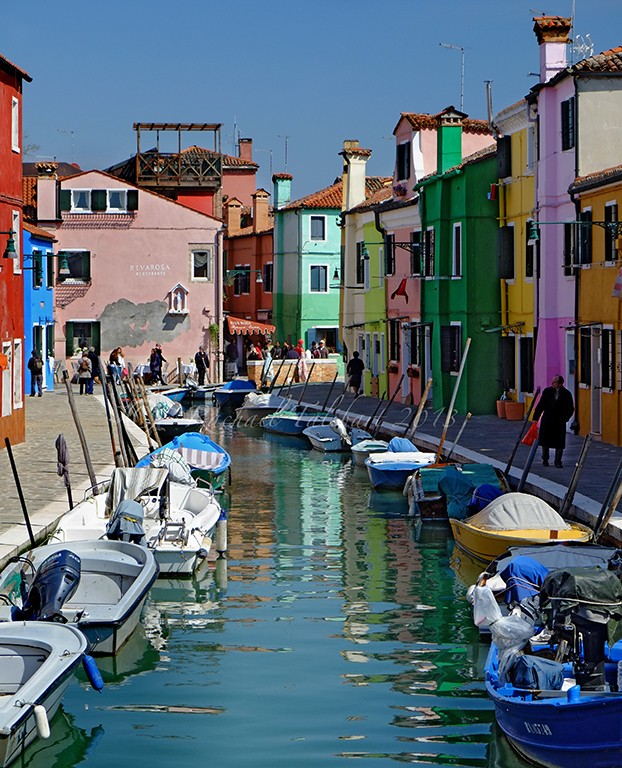 Tomorrow I will take a break to share with you some exciting news but then, if you can stand it, the weekend will see us back in Burano for one more visit. We need not to conform! What we need is to burst out into all these beautiful colors! 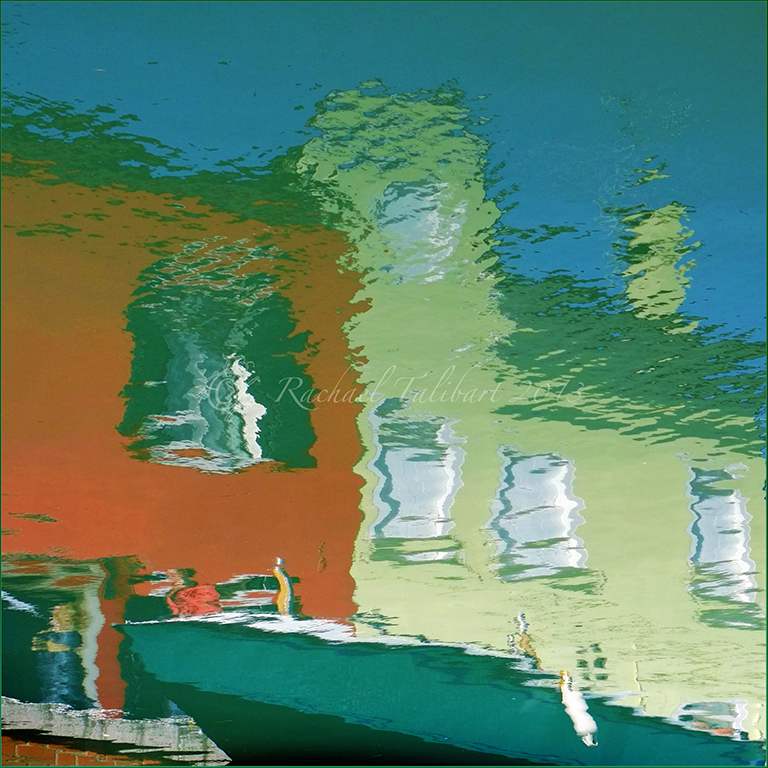 – C. Joybell C.
This entry was posted in photography, travel and tagged Burano, Italy, photography, travel, travel photography, Veneto, Venice by Rachael. Bookmark the permalink. 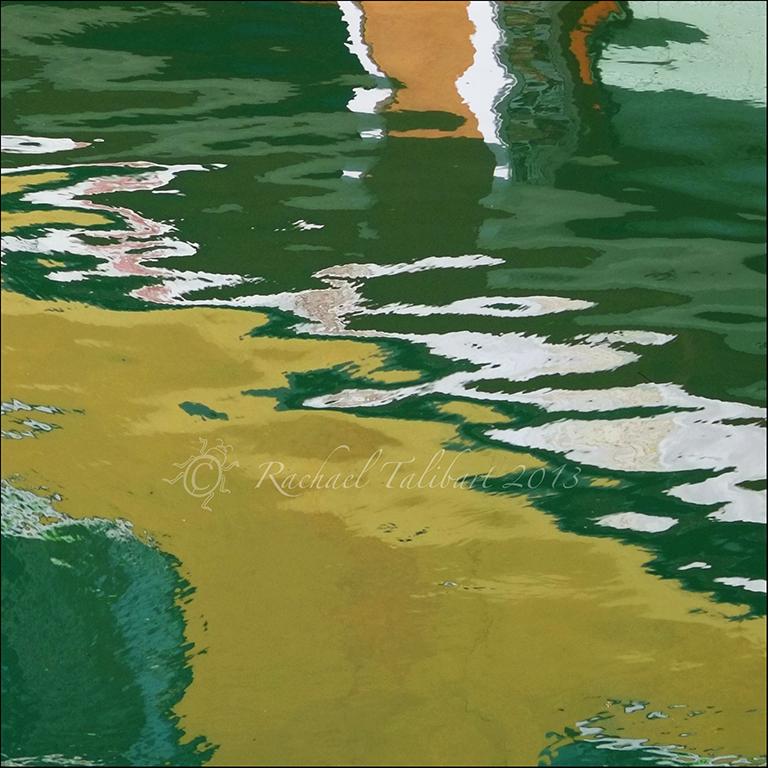 So rarely do you see the focus on JUST the reflection — you show they are stand-alone works of art! That first shot just took my breath away…. all of them were wonderful. I am curious what the story behind all these colorful buildings is. Is this an unusual custom for the region? 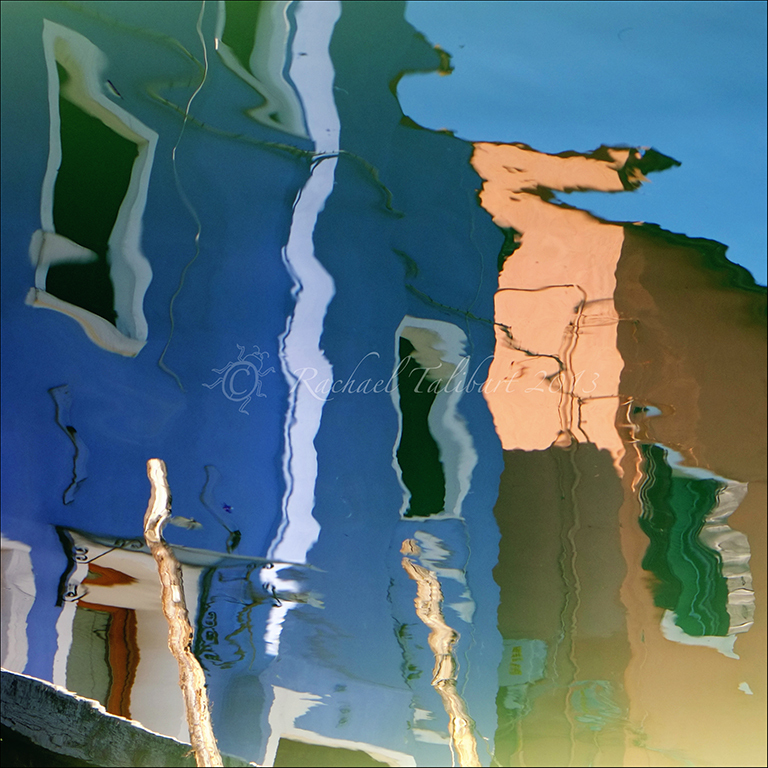 And I meant to add that I love these images (reflections). 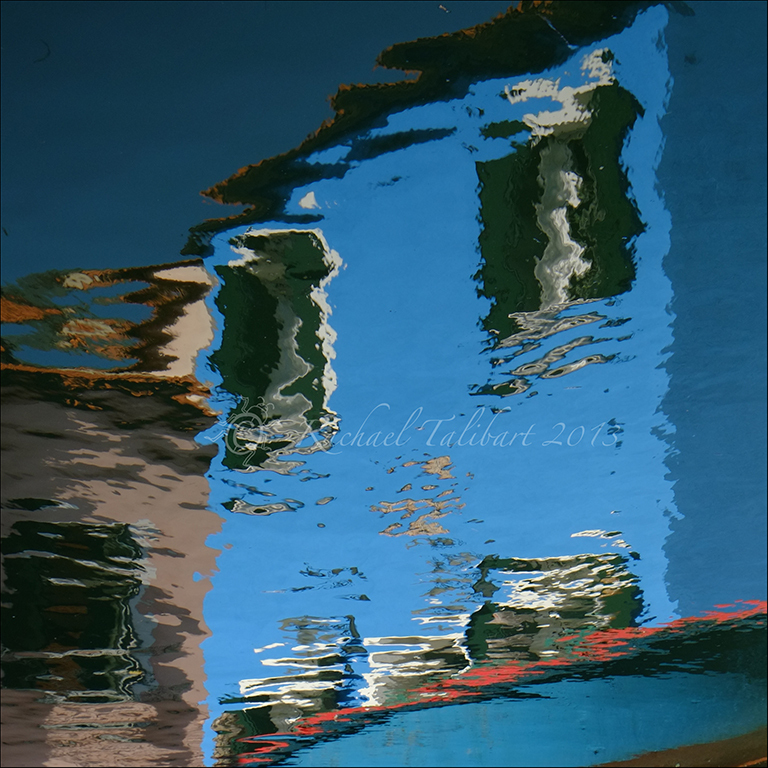 I really like abstract reflections. Very nice! These took my breath away. Fabulous composition – truly makes them abstract works of art. Stunning! They have a stunning abstract and Impressionist quality, Rachael.